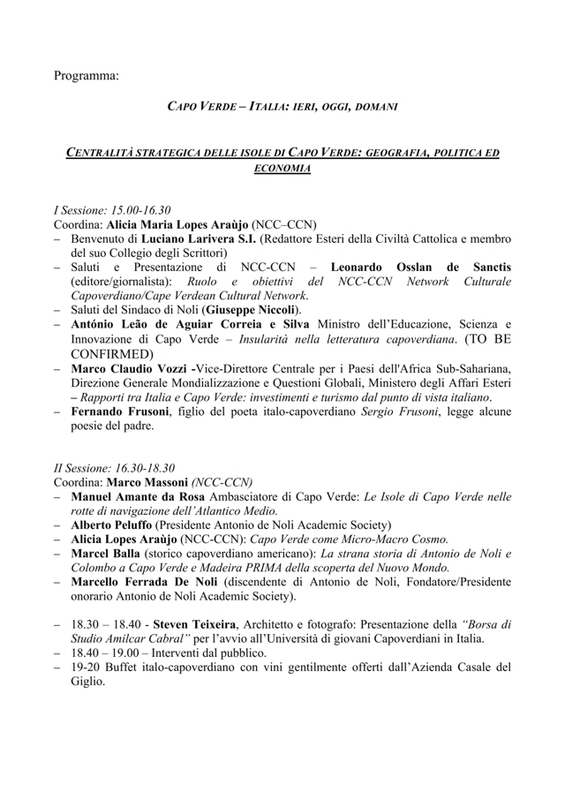 In the Cultural Bulletin of the Antonio de Noli Academic Society are referred the educational/cultural activities promoted by the Society, as well here we publish articles and interviews relevant to the Society’s stated aims. 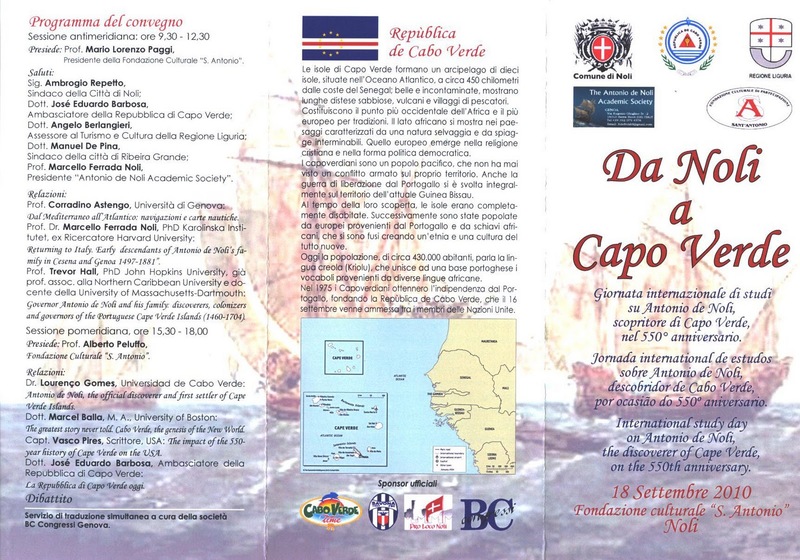 The Society participates in a conference on Cape Verde in Rome, 16-17 October, event organized by NCC – CCN . 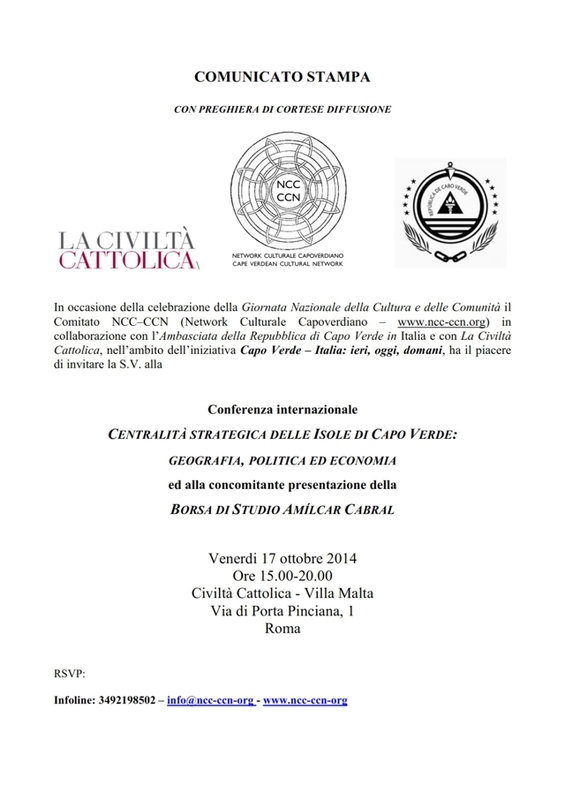 Further pictures at Rome Conference on Cape Verde October 2014. 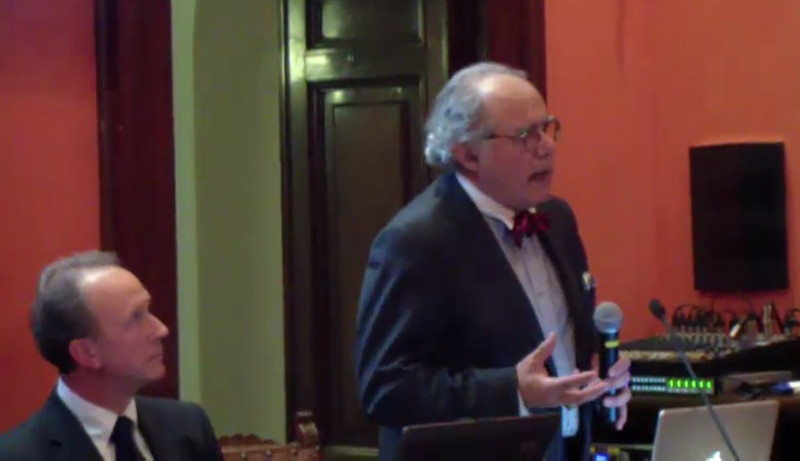 Pictures below: 1) Alberto Peluffo, president of the A de Noli Acad Soc. 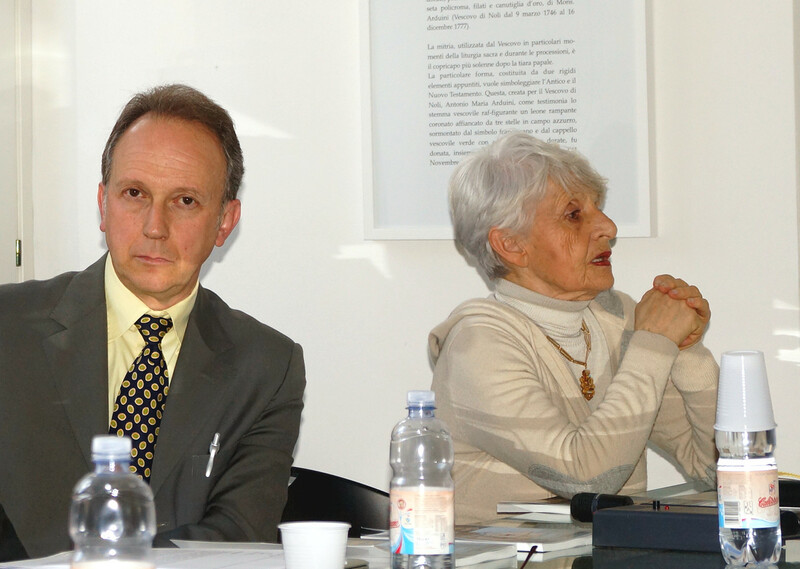 & Marcello Ferrada de Noli, honorary president. 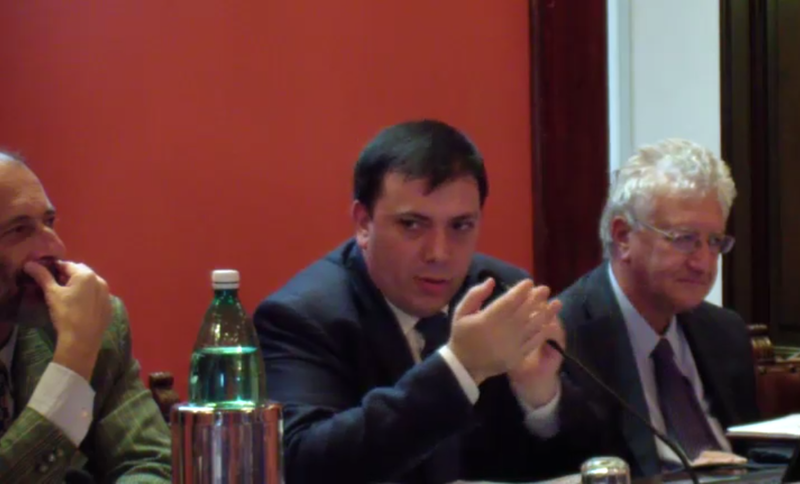 2) Leonardo de Sanctis & Marco Massoni (NCC-CCN), and Marco Claudio Vozzi, Deputy Director for the Sub-Saharian African countries at the Italian Ministry of Foreign Affairs. 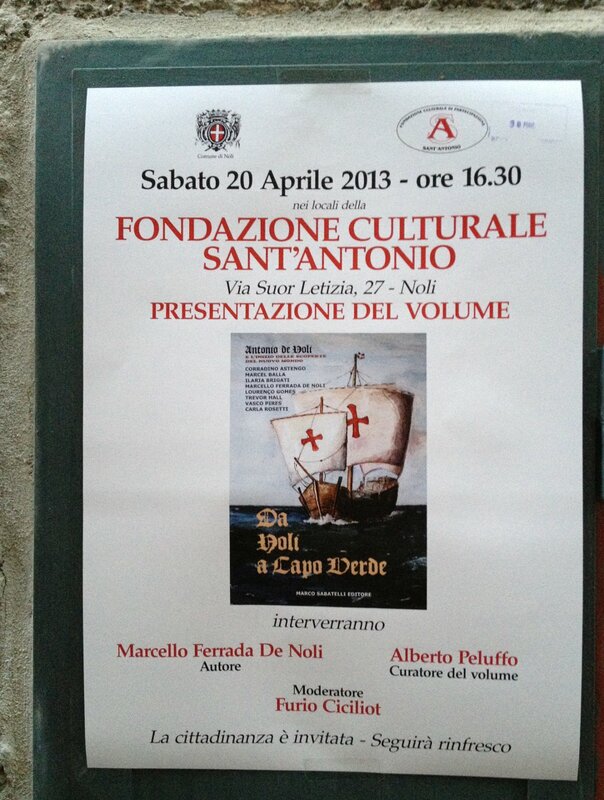 3) Manuel Amante da Rosa, Cape Verde Ambassador to Italy. 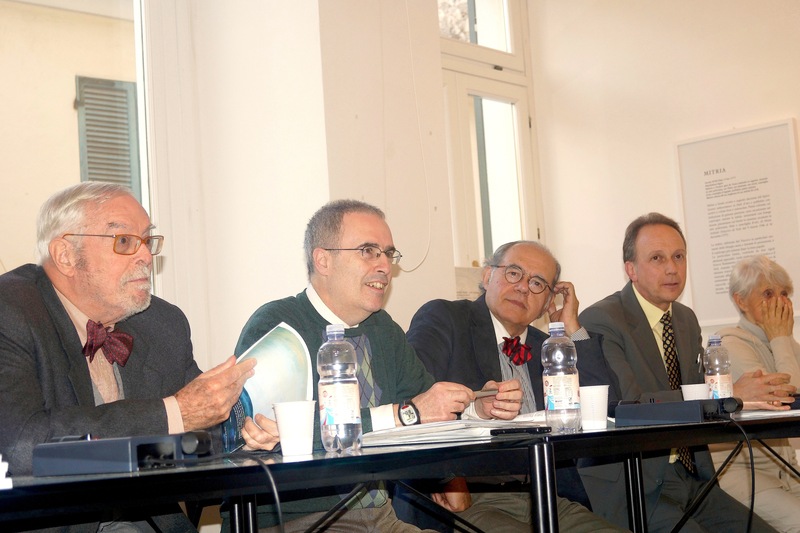 Other participants depicted in the page Rome Conference on Cape Verde October 2014. 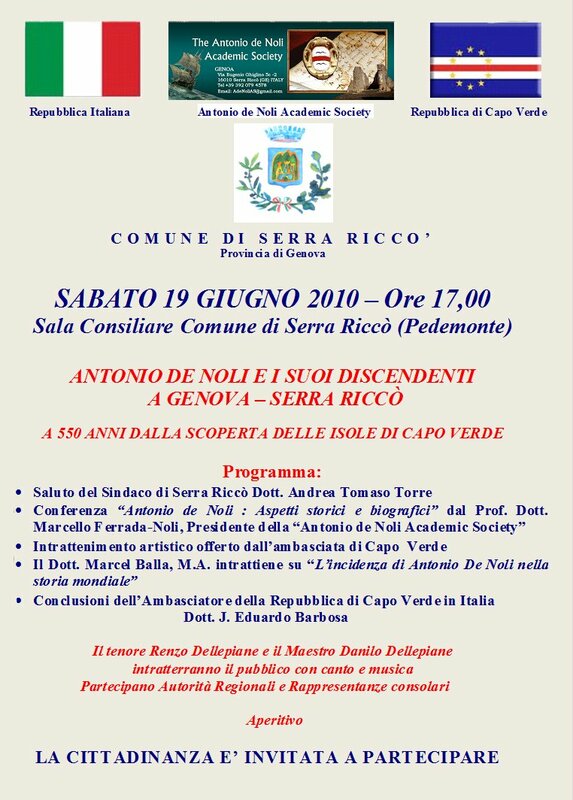 Prof. Alberto Peluffo, the former Major of the City of Noli and author, was elected by the Board of Directors new President of the Antonio de Noli Academic Society (2012-2013) on the 5th of July 2012. 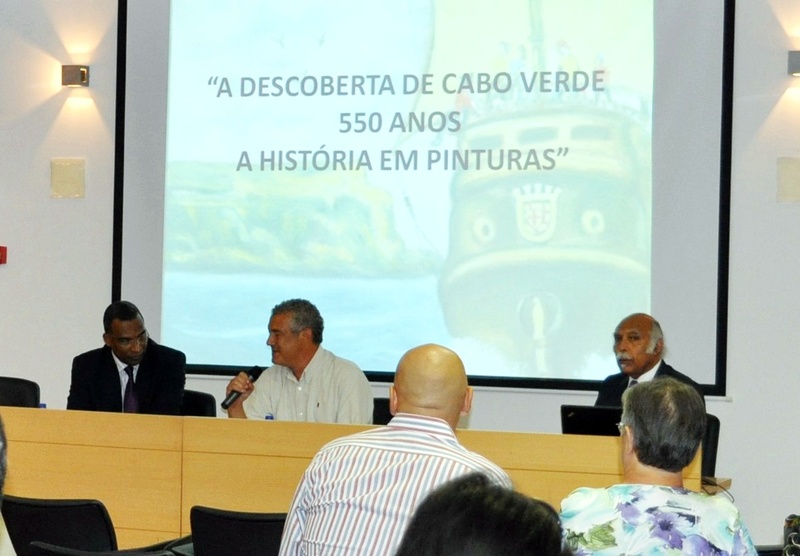 Picture above, Mr. Marcel Balla and the Ambassador of Cape Verde to Portugal Dott. 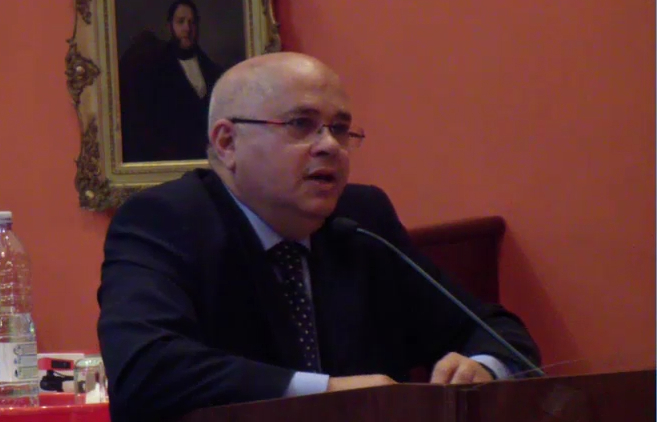 Arnaldo Andrade Ramos.